Flex Track Is The Track Preferred By Most Serious Modellers. 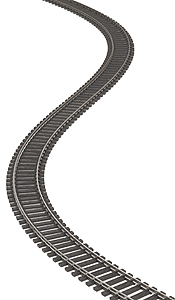 Its design allows the track to be bent almost any which way allowing the formation of curves with built-in easements as well as being more versatile than conventional sectional track. Copy this Code 100 Flex-Track to your MY ACCESSORIES roster.